Inaugural edition of the AfroBeats Conference to bridge the knowledge gap in the industry and help spark a revolution that will further push music of African origin and respective stakeholders to the top of their game. LAGOS, Nigeria, August 14, 2018	(Newswire.com) - This November, something previously unheard of in the annals of music and entertainment in Africa will be birthed. It is the maiden edition of the AfroBeats Conference which will hold from Friday, 15 till Monday, 18 of November 2018. Unlike other high profile events of this nature, centered around music of African origin, that have held in locations across the continent from Lagos, Nigeria to Cape Town, South Africa, Rabat, Morocco to Timbuktu on the fringes of the Sahara desert in Mali, the AfroBeats Conference 2018 promises to raise the bar a notch higher and will hold in the United States of America. 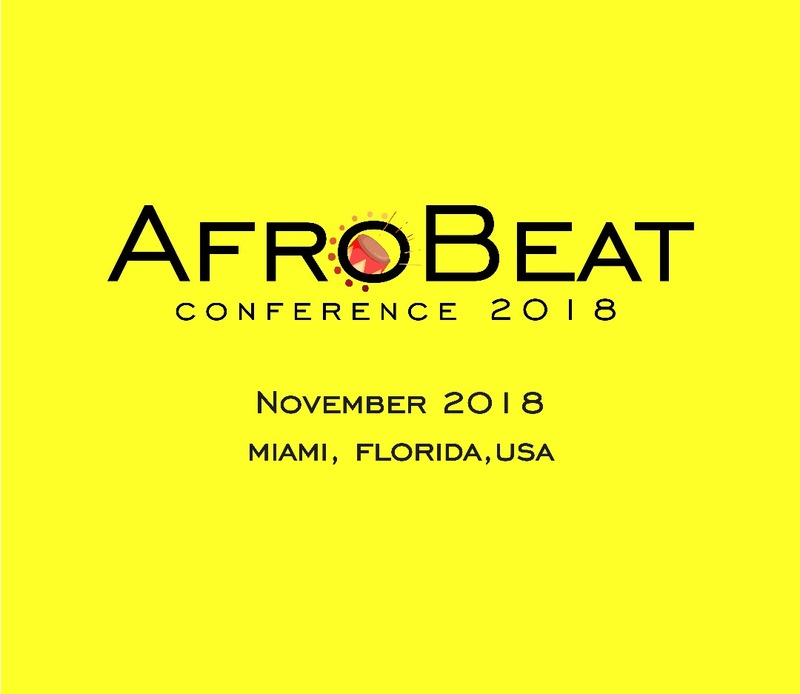 The main aim of the conference according to event organizers, Afrobeats International LLC is to "present an access/interest platform of Afrobeat to the world." The decision to hold the conference in the United States of America as against a location in Africa is born out of the need for stakeholders in the African music ecosystem to reach beyond the continent and thereby tap from the wealth of experience of leading lights in music on a global stage. As part of its goals, this conference hopes to initiate a conversation and show that Africa and Africans are ready for business. 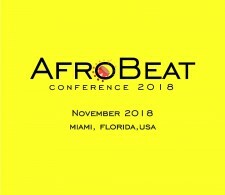 In recognition of the awesome potentials in music and music-related business and the immense socio-economic opportunities available to stakeholders, the AfroBeats Conference 2018 will among other things provide a networking platform for entrepreneurs and business owners to meet minds with leading figures in entertainment. Strategic one-on-one meetings with industry experts are among the side attractions while the event will also serve as a much-needed business conference and retreat for music industry stakeholders. Collaborations, synergy and working relationships are expected to be initiated during and after the conference. The resultant positive effect of this event can only be imagined as it reverberates across the African and global music platforms. In the end, the event will undoubtedly present African music as an organized continent and not a disparate body of shadow boxers. Open to everyone in the music industry from star artistes, up and coming musicians, music engineers, DJs, show promoters, record label executives, entertainment PR practitioners, entertainment media owners and music entrepreneurs, this inaugural edition of the AfroBeats Conference promises to bridge the knowledge gap in the industry and help spark a revolution that will further push music of African origin and respective stakeholders to the top of their game. As part of activities lined up to make the AfroBeats Conference 2018 a memorable event, a number of renowned artistes and stakeholders have been penciled down as keynote speakers and panelists. Attendees stand to gain a lot as noted industry players and established acts share their perspectives and help point the way forward for music in Africa. The roll call of panelists and keynote speakers reflects the diversity that Africa is known for as the personalities cut across the length and breadth of the continent and beyond. Each individual will bring their wealth of experience to bear on the conference. Topics during the panel sessions will dwell on various opportunities available to music artistes and stakeholders in the music industry to further enhance their brands and art. The role of technology and its application in music will be on the front burner during panel discussions to further leverage the possibilities IT offers. The sessions promise to be memorable and enlightening for all. In line with the goals of the conveners, the AfroBeat Conference 2018 will hopefully provide excellent opportunities for prospective brands and vendors to tap into the immense commercial benefits that the African music industry offers.